As each new generation arrives for any pickup truck models that we want to drive and enjoy on the roads we get to enjoy the upgrades and the answers needed to the driving desires we have. While the newest model of the GMC Sierra isn’t expected to arrive until the 2019 model year this is a truck that we can have for the ride needed and to get the work done. If you’ve looked for a posh and upscale truck from the GM lineup, the Sierra has always been the choice you would make for the drive. Right now, even though this truck isn’t done being tested and developed, we do see this truck offers a smoother front fascia on the model that’s been testing while also donning the headlights that appear to be inspired by the Terrain SUV. These headlights are shaped like a C and give the front an upgraded look. The body appears, from the amount that we can see, to have markings that will allow it to be improved and smoother while also offering a more substantial build for the drive. Even though we don’t have any idea of what the internal view of what this truck has to offer we do know there should be a diesel engine offered. The reason we know this is because we’ve already seen one of the next-generation Chevrolet Silverado models being tested that had to stop and fill up at a diesel pump. 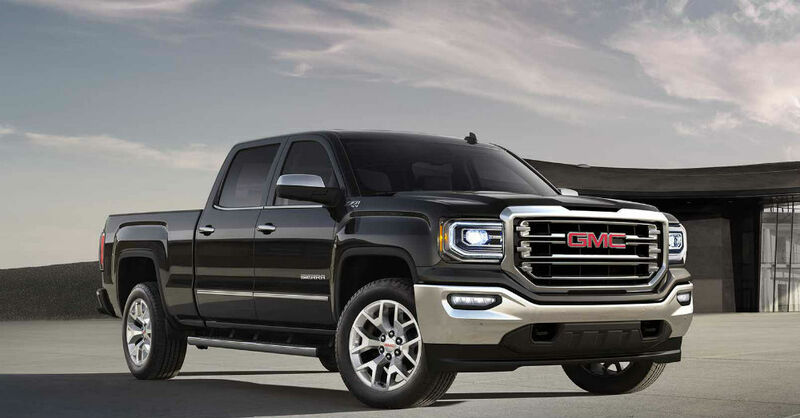 This allows us to surmise there may be a 2019 Sierra 1500 that will have a diesel offering that makes it possible for you to have the drive and the qualities you’re looking for when you head out on the roads and to the jobsites. Because we continue to see spy shots for the Sierra and the Silverado that will arrive in 2019, it’s possible we’ll see a new model at the 2018 Detroit Auto Show. If that’s the case, we’ll be able to learn more about what these new trucks will offer us when they are shown off in January. This pair of trucks is going to continue to lead the way in the half-ton market and offer us a variety of excellent ways to have the drive needed. I look forward to this show, especially if we don’t see any photos of the interior of the GMC Sierra before the dates of the show.